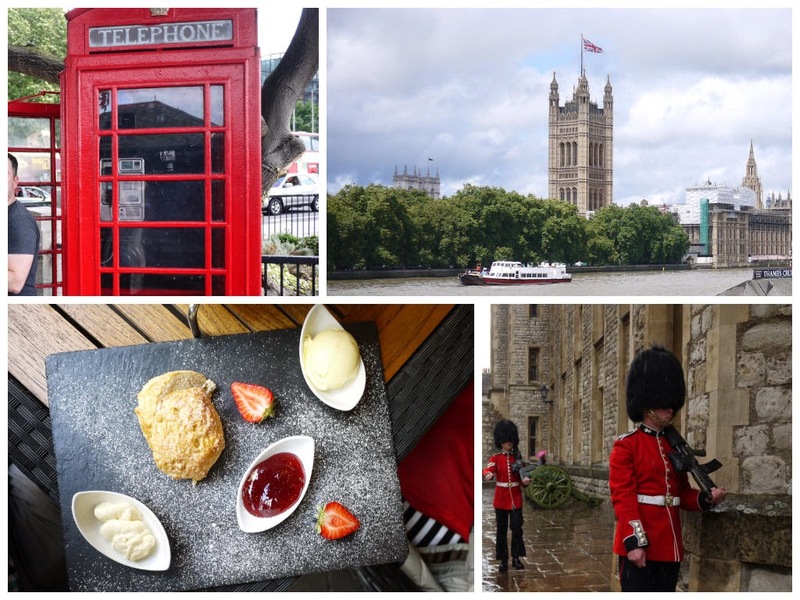 This past August we got to go to London England, and we had a jolly good time. :) My favourite things were afternoon tea and visiting Buckingham palace. I was so inspired by the amazing scones and clotted cream during our one afternoon tea session that I decided to make traditional English scones myself when we got back home. Preheat the oven to 425 and prepare a baking sheet with butter or parchment paper. Sift the flour, baking powder and salt together and then work in the butter. Make a well in the middle and then add the egg and milk. Mix with your hands to form a soft dough. Turn the dough out onto a floured surface and then knead quickly until the dough comes together. Roll out the dough to an inch thick, then cut into rounds with a biscuit cutter or water glass (I used a ramekin). Move to the baking sheet and brush the tops with the beaten egg. Bake for 8 minutes or until golden. We had ours with cinnamon sugar clotted cream and jam. So delicious!